Our Traditional Christmas Flowers Range! If you're looking for the quintessential Christmas look, look no further than our new Traditional Christmas range - perfect for filling your home with festive cheer, or sending as a gorgeous gift. This week our Posy of the Week is a lovely mix of white blooms, lush green foliage and a lovely hint of yellow from the first of our British Narcissi. It also contains; Thistles, Lisianthus, Alstro, Astrantia, Pinks and Roses - what a treat! NEW FOR 2018! Our Ding Dong Merrily On Dried - Festive Dried Flowers! These Festive arrangements are the perfect Christmas gift for a loved one who appreciates the amazing textures of dried flowers and foliage and wants a gift to cherish far into the new year! They contain a whole mix of dried flowers and foliage in reds and pinks with a hint of yellow. Featuring; Helichrysum, Hydrangea, Carthamus and Dried Gyp. Plus it's topped off with some lovely wispy twigs sprayed silver to add to that wild and festive look! Wiggly Cyber Week Deals are here! This year we've put together a fantastic selection of Wiggly Deals - all so good that you'd only ever get them once a year! These offers are only available while stocks last - and end Friday 30th November at 10pm! 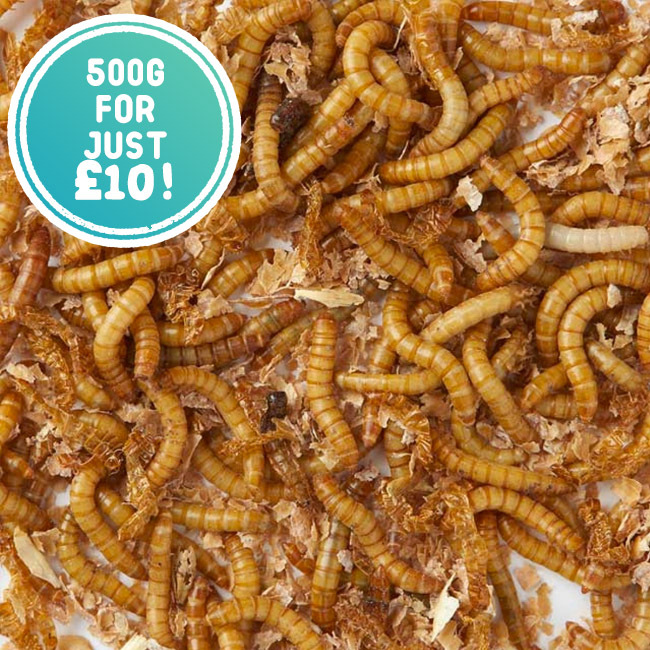 500G LIVE MEALWORMS | ONLY £10! Live Mealworms (Tenebrio molitor) are our best selling live food, and the number one choice for feeding wild birds. They are the larvae of the Flour Beetle, a native British insect which eats flour, meal, grain and other related crops. Their bodies are made up of over 48% crude protein and 40% fat making them an excellent, proven food for all insect eating garden birds. Introducing Our NEW Naked Range of Festive Flowers! Fresh Pro-British flowers make a perfect gift for your loved ones or a lovely treat for yourself! Choose from our range of Door Wreaths, Foliage Garlands, Festive Posies and Bouquets or Table Centres - all lovingly hand-crafted by our farm florists! *NEW FOR 2018* Our New Naked Range is full of classic, tasteful arrangements created with single materials, ideal for a modern, hygge Christmas at home.